POKHARA, April 14: Laxmanbabu Memorial Trust is going to construct the gate of Bindabasini Temple situated the tourist destination Pokhara. In the memory of Late Laxman Babu Shrestha, the gate is going to be constructed with the investment of 7.5 million rupees. The construction work of the gate was inaugurated by the Chairman, Raju babu Shrestha and other members of the trust on Saturday. 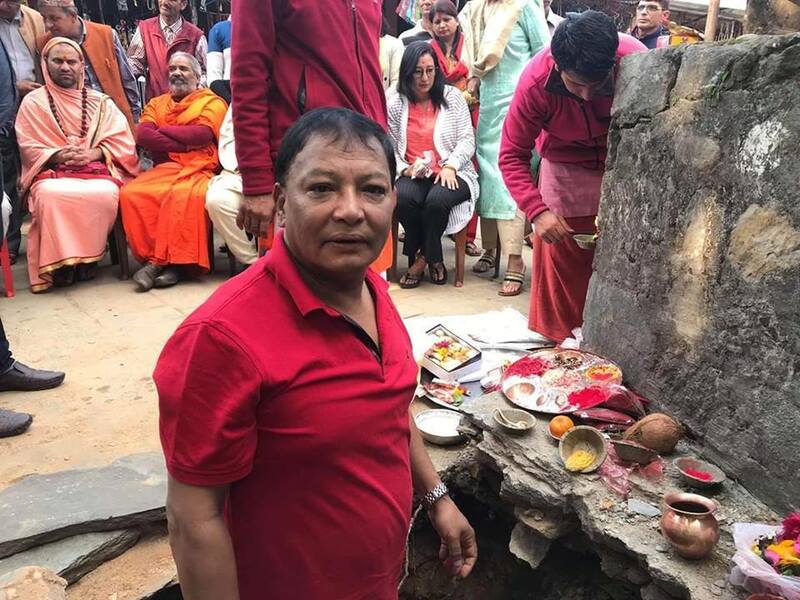 Raju Babu Shrestha said that, Laxman Babu Shrestha wanted to build a gate in this temple since the very first time and thus we are here to fulfill his dream. Rajesh Babu Shrestha, Executive Director of Manakamana Cable car said that the gate will represent Nepalese culture. The responsibility to built the gate is given to the workers of Bhaktapur.